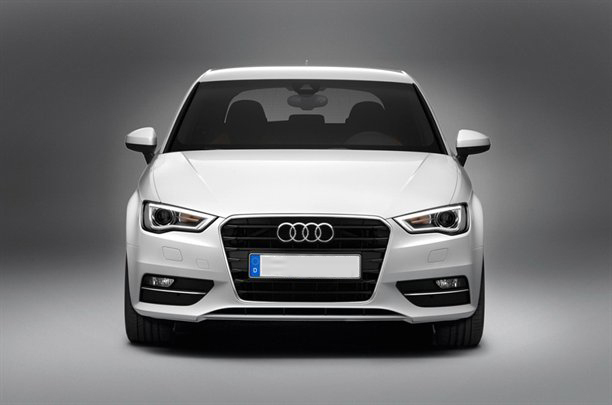 The first pictures of Audi A3 emerged as the Geneva Motor show approaches, where it was scheduled to be unveiled. According to the leaked pictures, the new Audi A3 gets a sportier uplift, with aggressive looks. The LED headlights are slimmer making the grille appear broader, with deep front bumper featuring large airvents. Also adding to the sporty theme of the three-door hatch is silver front splitter and integrated foglamps surrounding Audi’s signature grille. The side profile features a narrow glasshouse with blackened pillars and a strong waistline tapering towards the rear. While wheel style is adopted from RS3 alloys. It also sports a spoiler above the rear windscreen, which should add to down force of the new sport hatch. On the rear, we also observe LED lamps, with chrome tipped exhaust gazing out of the grey diffuser. 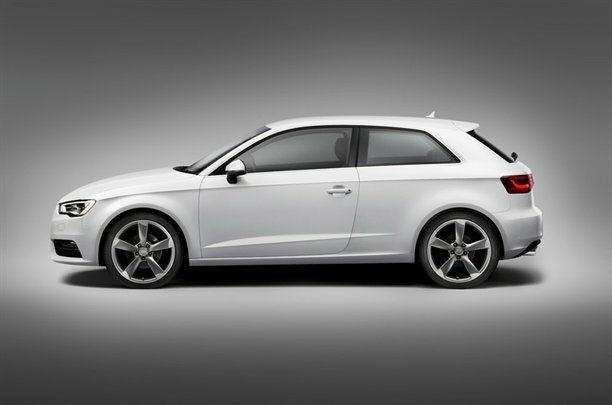 Five-door hatch, convertible and a sedan, in the A3 range, will follow Audi’s 3-door hatch. All these models are built on Volkswagen Group MQB platform that will underpin around 40 models coming in next 8 years. Audi had already given a glimpse of the new interiors when it displayed the new A3’s gadgetry at the Consumer Electronics Show in Las Vegas. Also from the images leaked we can see cleaner, smarter dashboard with more sculptured seats, raising towards the end to give more support to the driver during cornering. The two-toned interior comprises of extensive use of black leather with orange accents. The boot includes a 60/40-split rear seat with a ski-hatch. Audi’s MMI terminal has been completely redeveloped, and its restyling can accommodate the slim transmission tunnel of forthcoming Audi A3. The system centres around the touchwheel, which combines the wheel function of the current MMI with the touchpad functionality fitted to the A6 and A8. It enables the operator to ‘write’ characters by finger movement. Telephone, media, radio and navigation are also operated by tap of a switch ahead of the touch wheel. There are softkeys behind and on side of the wheel, which navigate and operate the menu. A separate volume control and skip function completes the interface. In the revised menu, media can be searched by simply entering the text through touch. A never seen before, 3D LED touchscreen monitor slides out of the dashboard. The new MMI has been designed to remove risk of obsolescence by incorporating a new Multi Media eXtension (MMX) board, which uses flash memory to make updating easy. The board itself can also be replaced. Optionally available will be Audi Phone Box, which utilises contactless technology to improve phone connectivity. In the future, Audi hopes to introduce contactless charging. 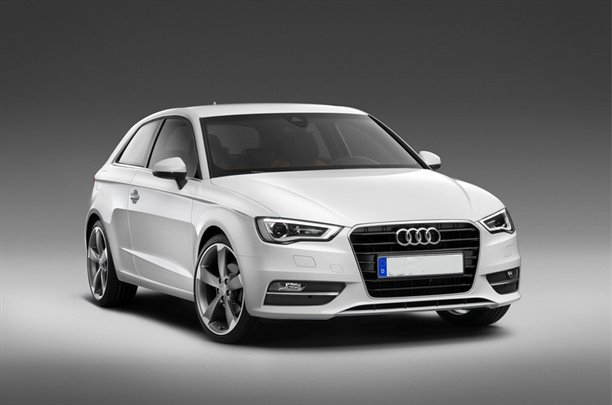 We’ll be able to bring you more details when the A3 makes it global debut at the Geneva Motor Show on 6 March.